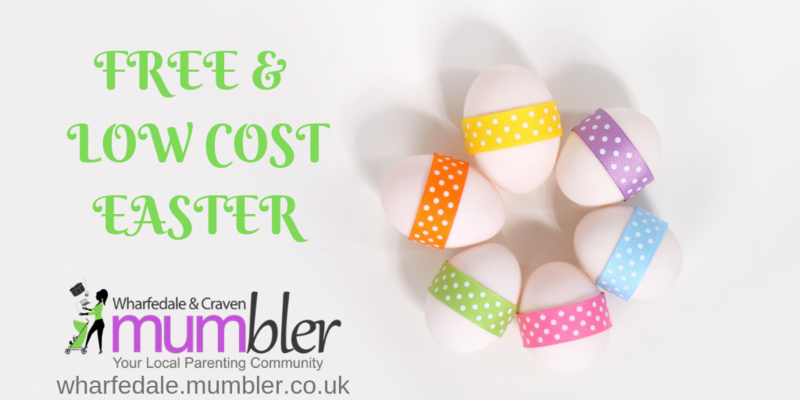 Keeping the Mini Mumblers happy throughout the Easter half term doesn’t need to be expensive with these fun, FREE or low-cost activities and events. Bolton Abbey: Hop through Strid Wood and keep your eyes peeled for the larger than life bunnies hiding in the trees. They shouldn’t be too hard to find with their brightly coloured coats on.….Free event but estate admission charges apply. More details here. The Royal Armouries, Leeds: Free entry to the Royal Armouries including the free River taxi outside (7 am – 7 pm Monday – Friday, 10 am – 6 pm Weekends)! Special Easter Events running 30th March – 14th April 2019. Lotherton Hall: Lotherton is planning a whole month of fairy tale themed family fun for April 2019. Fall down the rabbit hole, follow the white rabbit’s trail and get creative with kooky crafts. The Mad Hatter’s Tea Party will be taking place each Wednesday during April along with Flamingo Fun in the Nestbox Education Centre. There’s plenty of feathered flamingo friends in Wildlife World if you want to take inspiration from the real thing! The National Science & Media Museum, Bradford: Free entry to the Museum. The National Science and Media Museum, Bradford, BD1 1NQ. RHS Harlow Carr: Free activities. Enjoy Easter at the garden from 30th March to 29th April 2019 with lots of activities from stories and Easter crafts to amazing birds of prey demonstrations, plus The Rhyming Rabbit trail! Admission charges to the garden apply. Temple Newsham: Easter & Springtime babies and an eggcellent Easter egg competition! Abbey House Museum: Celebrating all things superhero with crafts, murder mysteries and silly science. The Easter bunny will be stopping off to hand out sweet treats over the bank holiday weekend and his furry friends have hidden all around Kirkstall Abbey too! Track them down and take a leisurely springtime stroll through the ruins. Leeds Young Film Festival: Leeds Young Film Festival is the UK’s largest family film event where the whole family can watch, learn and play. Join us and over 13,000 other children and their families this Easter, 8th – 22nd April 2019 to explore the world of film, animation and virtual reality through screenings, exhibitions and workshops across the City. Full details here. Ilkley Cinema: Every Saturday morning at 10.30am we have a special Kids Club film which is suitable for our younger audience and accompanying grown-ups alike. Octonauts: Creature Egg Hunt [U] – 8th – 10th April 2019. Ralph Breaks The Internet: Wreck-It Ralph 2 (2D) [PG]. 13th April 2019. Elves and the Shoemaker [U]: Ballet for children at 10.30 am – 17th April 2019. FREE Family Cinema at St John’ Church Yeadon: April 13th 2019. Wreck-It Ralph Breaks the Internet. Details here. LitCraft – Kensuke’s Kingdom at Leeds City Museum: FREE Minecraft event for ages 9-11, booking required. All children must be accompanied by an adult. 2nd April 2019. 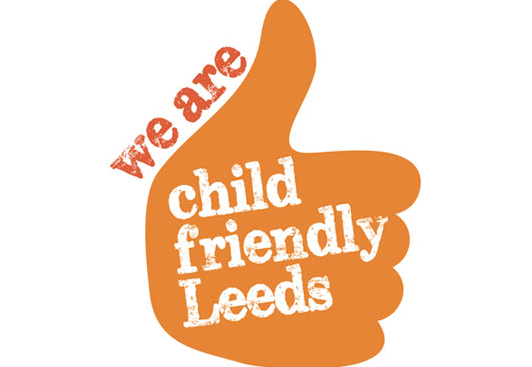 Nature Crafts at Leeds Industrial Museum: FREE nature-themed crafts session. Suitable for children aged 5 – 11 years (younger siblings may also attend with older ones). All children must be accompanied by an adult. All materials provided. Drop in activity. BOOKING REQUIRED. 4th April 2019. Spring into at Leeds Discovery Centre Explore objects from around the world relating to the celebration of new life and the changing of the season. Free family workshop with object handling, arts and crafts, plus a behind the scenes store tour. 10th April 2019. Collect a real egg then Eggsplore the gardens and hunt for decorations to make your egg look Eggstra special. £3/child includes juice and a homemade biscuit in the Coffee Shop. Recommended for 2-10-year-olds. Pre-booking essential. Cadbury Easter Egg Hunt at East Riddlesden Hall. 19th – 22nd April 2019. Trail sheets £2 each. Cadbury Easter Egg Hunt at Hardcastle Crags: 19th – 22nd April 2019. Trail sheets £2 each. Easter Egg Hunt: Thornton Hall Country Park. 21st April 2019. Normal admission applies. Make it more exciting with nature bingo, a scavenger hunt or doing some leaf rubbings – Lots of free ideas available with a quick internet search. If you visit any of our beautiful parks and playgrounds take a snap and send it to wharfedale@mumbler.co.uk I’ll post it on the listing for that park so other Mumblers can see what is there before they visit! Board Games /Jigsaws – Dig out some board games or jigsaws and enjoy some old-fashioned fun. DIY Pamper/Spa Day – Foot soak, face masks, nail painting, cucumbers on the eyes, hand massage, what a treat!! Corn Flour and Water Slime- it’s so easy, just use twice as much cornflour as water and add a bit of food colouring! Hours of fun! Scrap Booking – With so much going on in and around Wharfedale this Christmas, there will be plenty for your little ones to put in a School Holiday Scrapbook. Keep leaflets/tickets etc for them to stick in, photos, maps & drawings, should keep them busy a while! Olympics – With sports days done, the Mini Mumblers will be well used to sporting contests, so set up a mini Olympics. Obstacle courses, egg and spoon races, balls in buckets, the list goes on. Pizza Making – Fun and gets a meal sorted at the same time. Either make your own base or buy ready made/pitta bread for a quick option. Origami – Lots of patterns/instructions available online for free. Patience required! Junk Modelling – Empty the recycling box and get creative. Space rockets, robots, wherever your imagination takes you! Make dough – Use the recipe from The Imagination Tree to make some quick and easy dough.